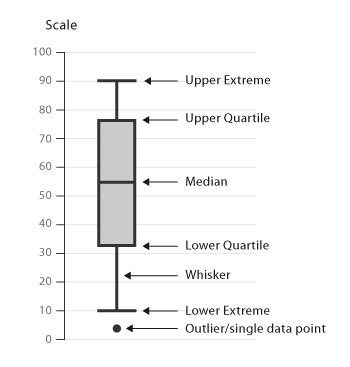 A box plox, or box and whisker plot, is a way to visualize the spread and centers of a data set. The measures of spread include the interquartile range and the mean of the data set. The measures of center include the mean or average and median. The lines extending from the boxes are known as the "whiskers", and indicate variability outside the upper and lower quartiles. Outliers are plotted as individual dots in-line with the whiskers. 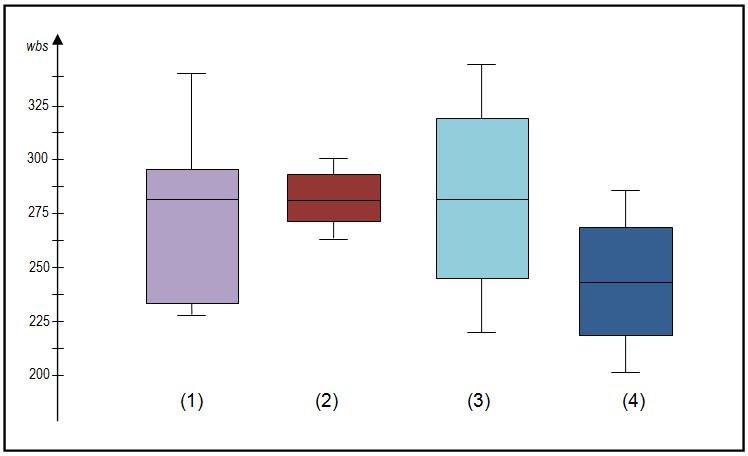 Box plots can be drawn vertically or horizontally. One box plot that is much higher or lower (3) and (4) than another suggests a difference between groups. If the four sections of the box are uneven in size (1), this shows agreement in certain parts but more variable results in others. The same median with different distributions (1), (2), (3) should be interpreted within the patter of the whole distribution.